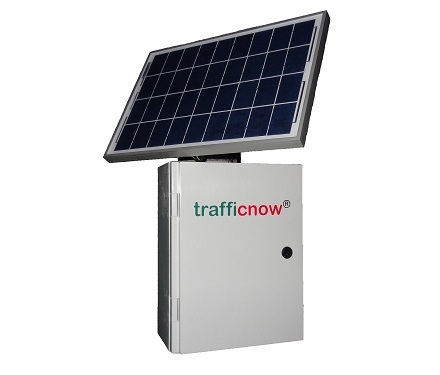 The DeepBlue C-model by trafficnow – a full cabinet roadside sensor for Bluetooth and Wi-Fi tracking. The ideal maintenance-free, non-intrusive sensor for getting online travel time information and origin/destination information for improved infrastructure planning. The autonomous cabinet includes the sensor, power regulator, and solar panel, making it very suitable for stand-alone setup where there is no infrastructure in place. An auto-configured, easy-to-install side-fire Sensor that detects the wireless signals from vehicles; from hands free sets, smart phones and GPS systems.